Bitgold transactions would make the central bank defend its market share. History suggests that the only way to rein in the sprawling Federal Reserve is to end its money monopoly and restore the American people’s ability to use gold as a competing currency. The legislative compromise that created the Fed in 1913 recognized that the power to print money, left unchecked, could corrupt both the government and the economy. Accordingly, the Federal Reserve Act created the Federal Reserve System without a centralized balance sheet, a central monetary-policy committee or even a central office. 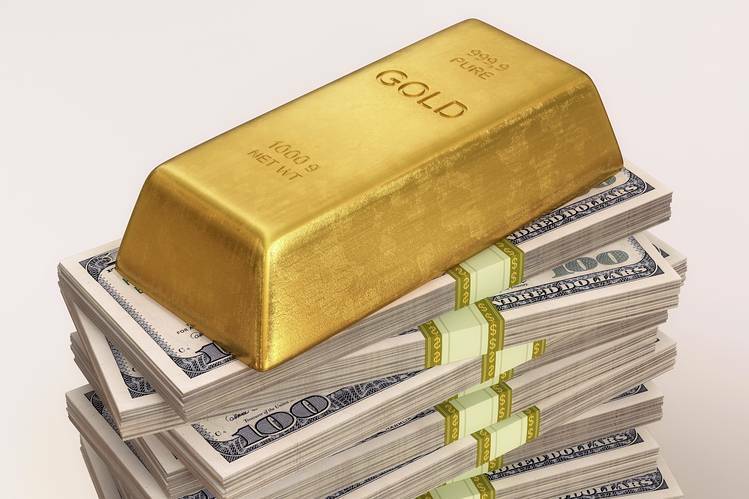 The Fed’s regional banks were prohibited from buying government debt and required to maintain a 40% gold reserve against dollars in circulation. Moreover, each of the reserve banks was obligated to redeem dollars for gold at a fixed price in unlimited amounts. Over the past century, every one of these constraints has been removed. Today the Fed has a centrally managed balance sheet of $4 trillion, and is the largest participant in the market for U.S. government bonds. The dollar is no longer fixed to gold, and the IRS assesses a 28% marginal tax on realized gains when gold is used as currency. The largest increases in the Fed’s power have occurred at moments of financial stress. Federal Reserve banks first financed the purchase of government bonds during World War I. The gold-reserve requirement was dramatically reduced and a central monetary policy-committee was created during the Great Depression. President Richard Nixon broke the last link to gold to stave off a run on the dollar in 1971. This same combination of crisis and expediency played out in 2008 as the Fed bailed out a series of nonbank financial institutions and initiated a massive balance-sheet expansion labeled “quantitative easing.” To end this cycle, Americans need an alternative to the Fed’s money monopoly. A competing currency would not only offer people a monetary choice in a crisis. More important, it would give the Fed a clear incentive to anticipate and avoid such crises. In a competitive system, before it embraced another bout of monetary adventurism, the Fed would have to contemplate a decline in market share. For if the Fed were even perceived to be debasing the dollar, many would seek out a sounder alternative. With a gold-based currency up and running north of the border, why not offer Americans a monetary choice as well? The proposition is simple. Americans who prefer the incumbent monopoly provider of money are free to keep their accounts as is. Those who prefer gold are free to switch. And the Fed is free to defend its market share with sound monetary policy. Mr. Fieler is president of Equinox Partners LP, a New York-based hedge fund, chairman of the American Principles Project, a Washington advocacy group, and an investor in Bitgold. Posted on November 2, 2015, in Postings. Bookmark the permalink. Leave a comment.